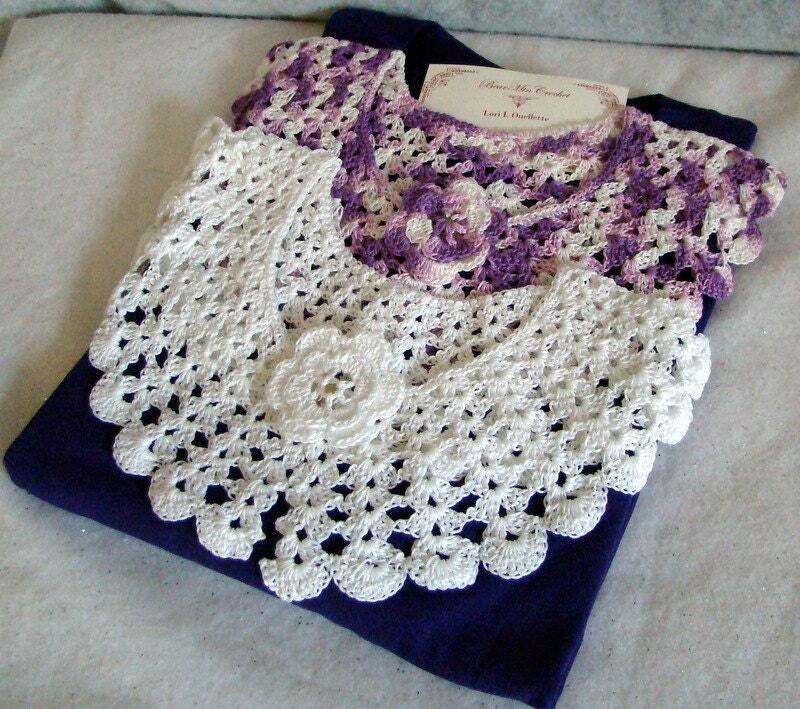 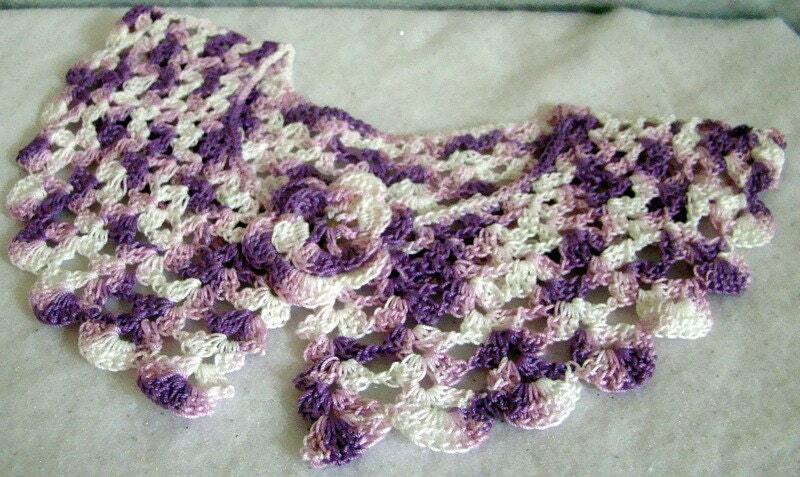 This set comes with 2 collars crocheted in white and purple varigated with a tshirt. 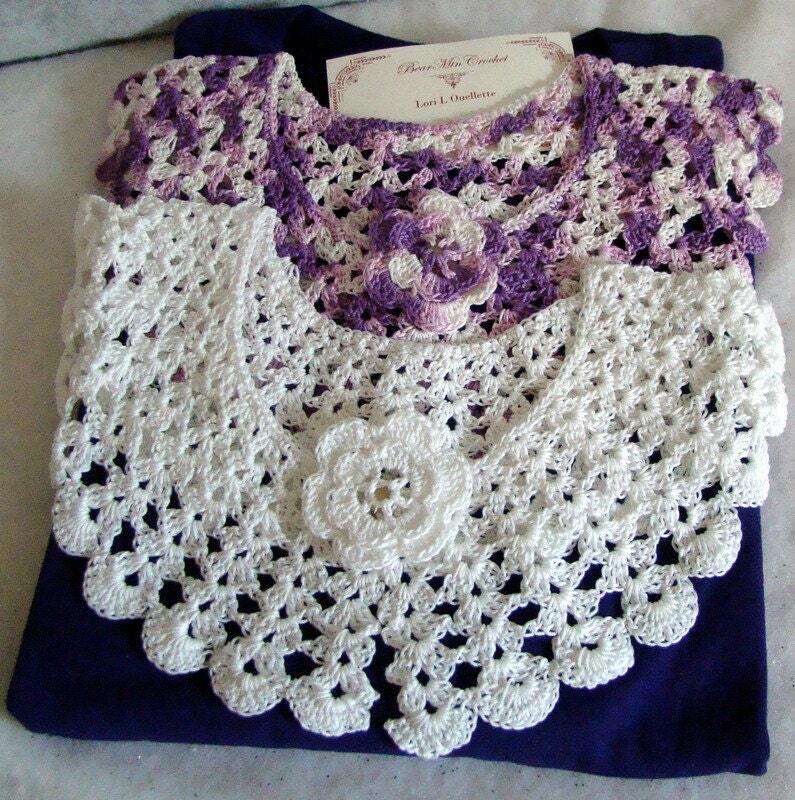 Hand crocheted buttons accompany the collars and are detachable. 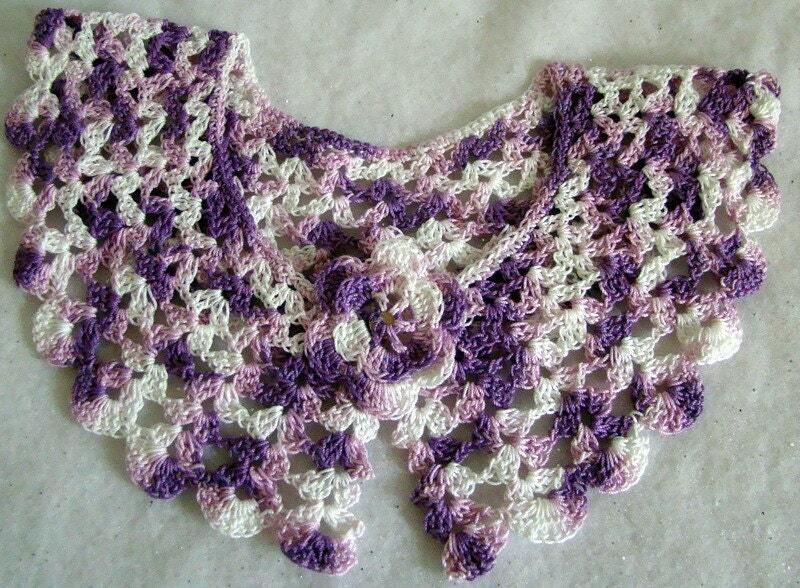 Collars can be worn with tshirt or any top. 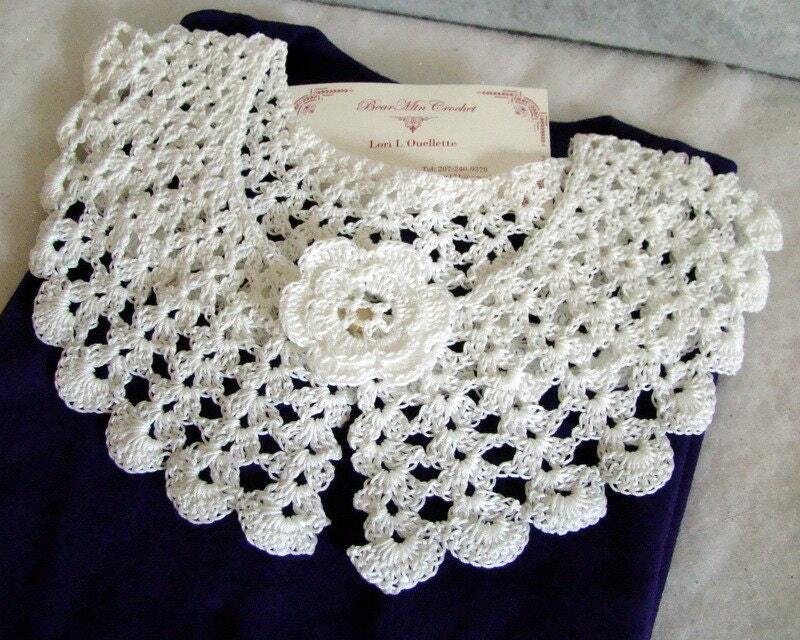 Custom collars and styles available!